Nicopress zinc plated copper ferrules & crimps for forming eyes & stops on stainless & galvanised wire rope. Please note: Nicopress Ferrule Size relates to the Wire Diameter. E.g. 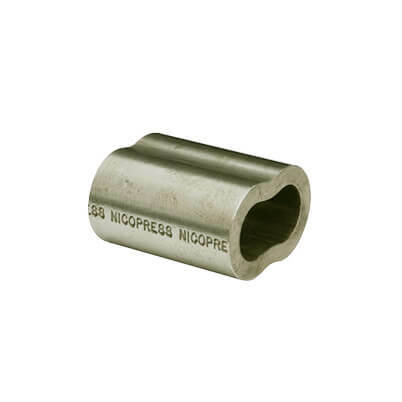 For 4mm Wire Rope please choose a 4mm Nicopress Ferrule. 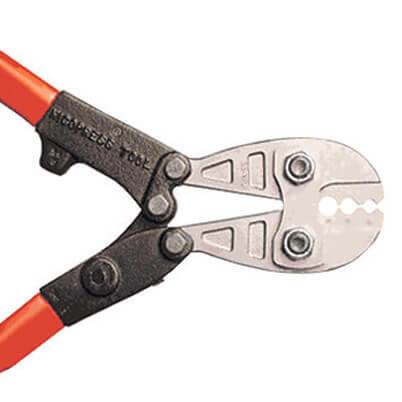 Manufactured from Zinc plated copper. Nicopress Hand Splicing Tool required for crimping. Sizing is like for like. E.g. Choose a 3mm Nicopress Ferrule to suit 3mm wire rope. 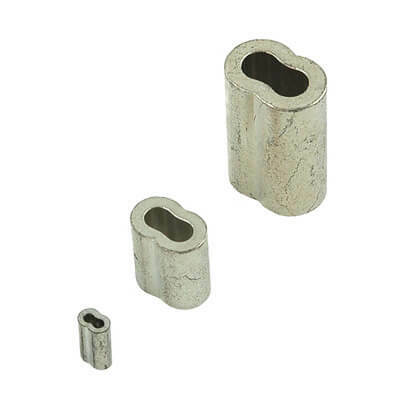 Also known as copper wire rope sleeves, nicopress sleeves, wire rope crimps & cable ferrules. Copper ferrules available to fit 1.5mm, 2mm, 2.5mm, 3mm, 3.5mm, 4mm, 4.5mm, 5mm, 6mm and 8mm wire rope.